Remember how you once could spend hours watching the busy, small inhabitants of your childhood garden--the ones that burrowed, scampered, or buzzed? Every young person is a naturalist at heart. And remember how exciting it was to have more colors than just the basic eight in the crayon box? Even the names of those wonderful hues were fun to say aloud: scarlet, sapphire, chartreuse. 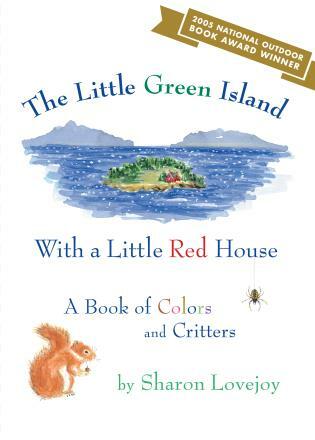 In The Little Green Island with a Little Red House, acclaimed illustrator, naturalist, and garden writer Sharon Lovejoy melds gentle rhyme and winsome illustrations to introduce young readers to the little beige bat, the scarlet newt in the yellow boot, and many other creatures that share her island home.